Aditya Enterprise is renowned manufacturer, trader and supplier of a supreme quality range of Kirloskar screw Compressor Parts. We are leveraging the strong domain expertise of our R&D specialists to bring forth a wide assortment of next generation products, such as Air Filters, Oil Filters and Air Oil Separators, Lubricants, Kits, Coolers, Gears, Couplings, Kits etc. Offered products are manufactured using high grade raw material and cutting-edge technology under the guidance of skilled team of professionals. We are leading of 100% compatible Oil Filters for Kirloskar Compressors make rotary screw compressor with 100% life, performance and fitment assurance. 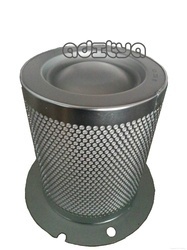 We are one of the leading suppliers of a comprehensive range of Air Filters for Kirloskar Compressors. The complete range is manufactured using optimum quality raw material, which is sourced from renowned vendors of the nation. Further, the range undergoes stringent checks and tests to ensure delivery of defect free products at client's destination. 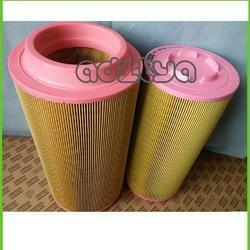 Air Filters - 2710014450, 2710148850, 2730377250, 2700377250, 2700118450. Our firm is leading & pioneer supplier of 100% Air Oil Separators for Screw Compressors make rotary screw compressors. 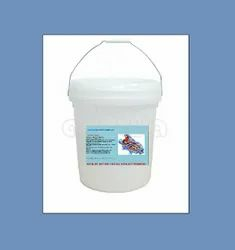 We at ADITYA ENTERPRISE supply 100% replacement and compatible oil for KIRLOSKAR K SMART OIL. K-Smart oil for Kirloskar Air Compressors Part No.270.02.478.50 suitable for Kirloskar Pneumatic Air Compressors . This Mineral oil have superior oxidation and thermal stability which minimize formation of corrosive acids, deposits and sludge. We proudly announce that we supply 100% replacement Screw Compressor Combi coolers for Kirloskar screw compressor with very much competitive price and oem quality. 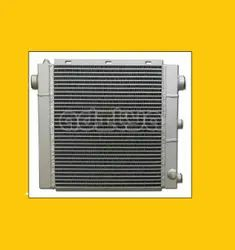 You may also contact us for your requirements of customized Air Cooler, Oil cooler or Combi coolers for any screw compressors. We can supply it with sample or drawing.